This page is the second in a three-part series related to the birth and development of the New York City subway system. The first page deals with pre-subway transportation and the third covers the actual construction of the subway. In the late 1880s, engineers took steps to harness the power of Niagara Falls. Their success would mark one of the world's greatest technological achievements. It also helped capture the considerable energy needed to run New York's subways. Many earlier power distribution systems used direct current to transmit power, but these systems were not effective over long distances. A young scientist, Nikola Tesla, was developing an alternating current system of dynamos, transformers and motors. His innovative system proved effective in long-distance transmission. Seeing the potential of the new dynamo, George Westinghouse purchased the alternating current patents from Tesla in 1888. In 1890, a group of young Westinghouse engineers convinced their boss to apply this new technology to the Telluride Hydroelectric Plant (IEEE Milestone) in Colorado, demonstrating that the new technology could be a practical success. Then, in 1895, the Westinghouse Company installed the first hydroelectric generating plant using one of the first alternating current generators at Niagara Falls (IEEE Milestone), under the leadership of chief engineer Lewis B. Stillwell. Stillwell was born in Scranton, Penn., in 1863. He graduated with a degree in electrical engineering from Lehigh University in 1885, and over his lifetime would receive many honorary degrees, including doctorates from Wesleyan and Lehigh Universities. After joining the Westinghouse Electric and Manufacturing Company in Pittsburgh in 1886, he and a small group of outstanding young engineers, including Charles F. Scott, Otto Shallenberger and Benjamin G. Lamme, worked to develop Tesla’s alternating-current power system. The Niagara Falls plant began operation using this system in August 1895. In 1897, Stillwell left Westinghouse to become the electrical director of the Niagara Falls Power Company. Stillwell became director of the Rapid Transit Subway Company in New York City in 1900. There, he oversaw the installation of the power house and substations. In 1902, Stillwell became electrical director of the Interborough Rapid Transit Subway Construction Company, supervising all of the electrical work for elevated and tunnel subways. For the remainder of his career, he built a successful engineering practice, serving clients such as the Manhattan Elevated Railway Company, the New Haven Railroad (IEEE Milestone), and the Port of New York Authority. 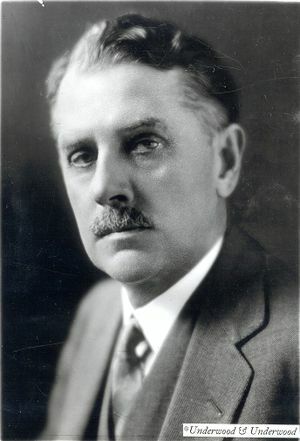 He consulted for a number of other railroad and transit companies as well, including the Hudson & Manhattan Railroad; the Erie Railroad; United Railways and Electric Company of Baltimore; Interborough Rapid Transit Company of New York; the Boston & Maine Railroad; New York Municipal Railway Corporation; and the New York and New Jersey Commissions, in connection with the Holland Tunnel. Energy conservation was one of Stillwell's main concerns. In 1914, he spoke about electricity and energy conservation at a joint meeting of the American Institute of Electrical Engineers (AIEE) and three other national engineering societies. According to Stillwell, conservation meant "utilization without unnecessary waste" and, more broadly, it meant developing natural resources (such as water) in ways that would enhance or increase the resource. For example, he pointed out that renewal of forests produced beneficial effects on stream flow. Stillwell suggested that steps should be taken to turn the nation away from "reckless waste ... to a policy of wise conservation, having due regard to the common interest now and in the future." Stillwell urged professional engineering societies to take active roles in resource conservation and in influencing public opinion "along lines that will result in the enactment of just and wise laws." He also said that the "economic utilization of our natural resources is the fundamental problem of all engineering," and concluded that every engineer ought to strive to prevent mistakes in policy that might result "from actions based upon insufficient and inaccurate knowledge." Stillwell was very active in the AIEE. As AIEE President (1909-1910), he created a committee to formulate a Code of Ethics for electrical engineers. In 1933, he received the AIEE Lamme Medal (named for his former colleague at Westinghouse) for his distinguished career in connection with the design, installation and operation of electrical machinery and equipment. Two years later, he received the Edison Medal for his distinguished engineering achievements and his pioneer work in the generation, distribution and utilization of electric energy. He is credited with a number of inventions, including the Stillwell regulator and a time-limit circuit breaker. Stillwell passed away in Baltimore, Md., in January 1941, at the age of 77. Part three of the series examines the construction of the subway. This page was last edited on 28 September 2015, at 19:16.